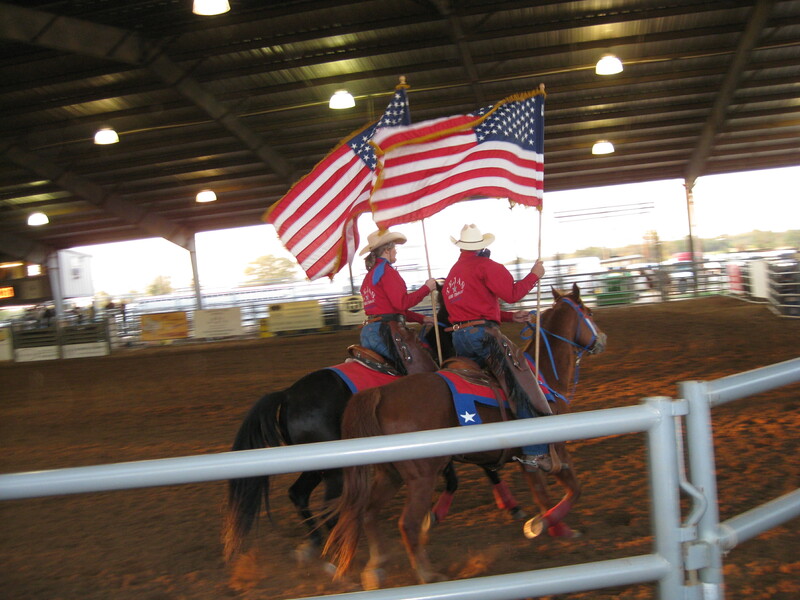 While we were in San Antonio, we saw an advertisement for a rodeo that wasn’t too far from where we were camping….so we had a snack and took off! 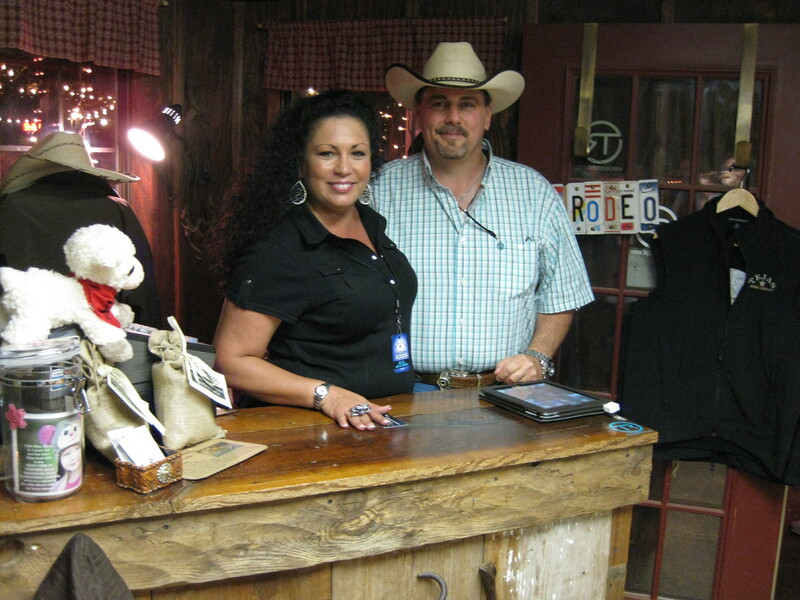 Our very first ever rodeo was experienced at the Tejas Rodeo Company in Bulverde, TX. Of course, the very first the the kids talked about was how we needed to have cowboy boots…cause EVERYONE was wearing them! 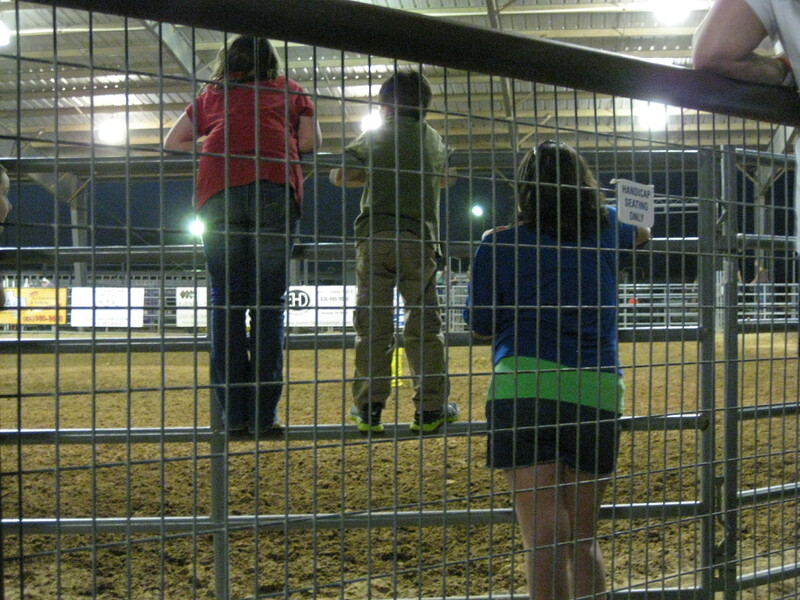 It was an interesting combination of farm, fair, and typical rodeo. There were vendors and food stands along with a mechanical bull (and NO I wouldn’t allow them to ride…you should have seen those kids getting whipped around!) 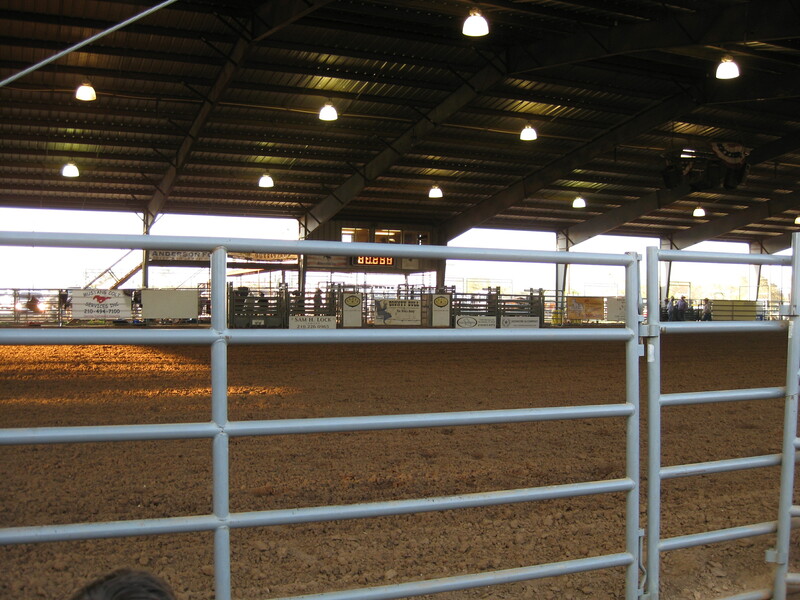 and of course the rodeo arena with all the horses and bulls. We walked around a bit and then headed into the arena to see the preshow. 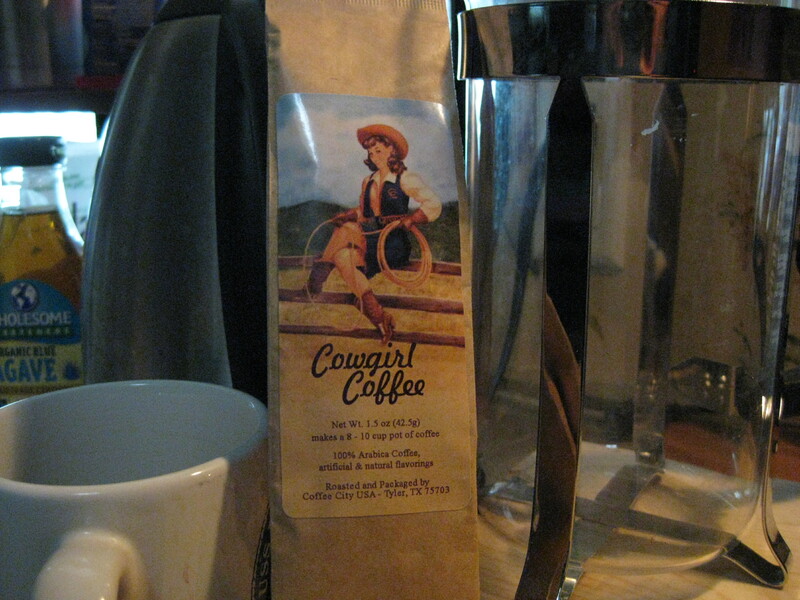 Did any of you see that movie called Cowgirls ‘N Angels? Well, the pre-show was much like the group of female riders in that movie. We saw riders doing a few tricks and carrying flags. It was very emotional for me to witness the show of patriotism as the US flag flew and the anthem was sung. I seriously doubt anyone can say that God doesn’t live in Texas. It was amazing. Next came the bull riding interspersed with the Mutton Bustin! The bull riding was breath stealing even though we didn’t know anyone doing it! It was edge of your seat captivating to see if the rider could stay on for 8 seconds…..(which brings to mind another movie!) The Mutton Bustin was hilarious and I am still waiting for a video from Missy and Drew’s son who was a Mutton Buster in the state fair!! We watched for a while and then went out for a snack and to see the various vendors and storefront. The shop there, called the Company Store, was pretty neat. We also met the store (and website) manager, Lorraine. She was very friendly and was interested to hear about our travels. We told her we’d give her an Awesomes shout out because we liked her store so much! I’m going to have to email her and ask her how to get more of that coffee. I had originally purchased a few extra to send out as gifts but ended up hoarding it all for myself! 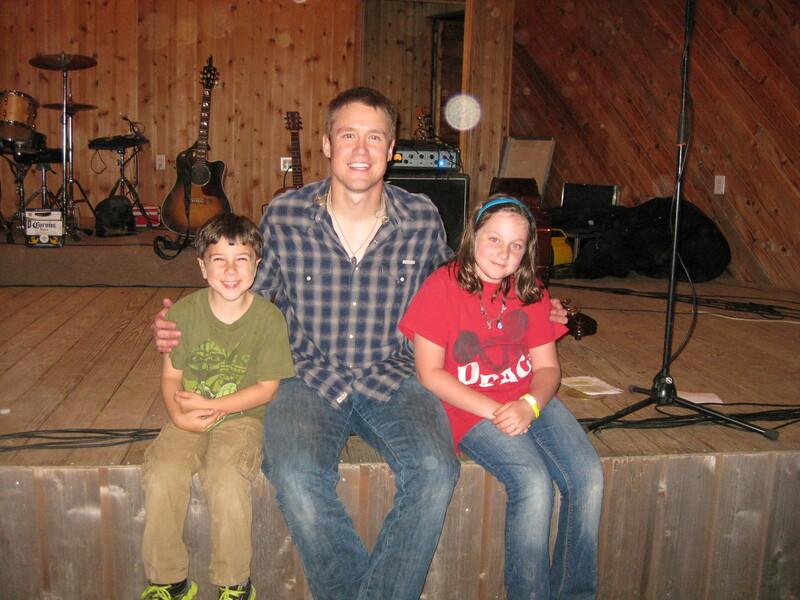 This was our entertainer for the night, Aaron Einhouse. We really enjoyed watching him perform and chatting him up a bit during one of his breaks. Sylar had walked right up to the stage and started talking to him like a long lost friend. Now you know you’ve found a good human being when they stop and listen to a five year olds ramblings about his sister’s guitar. 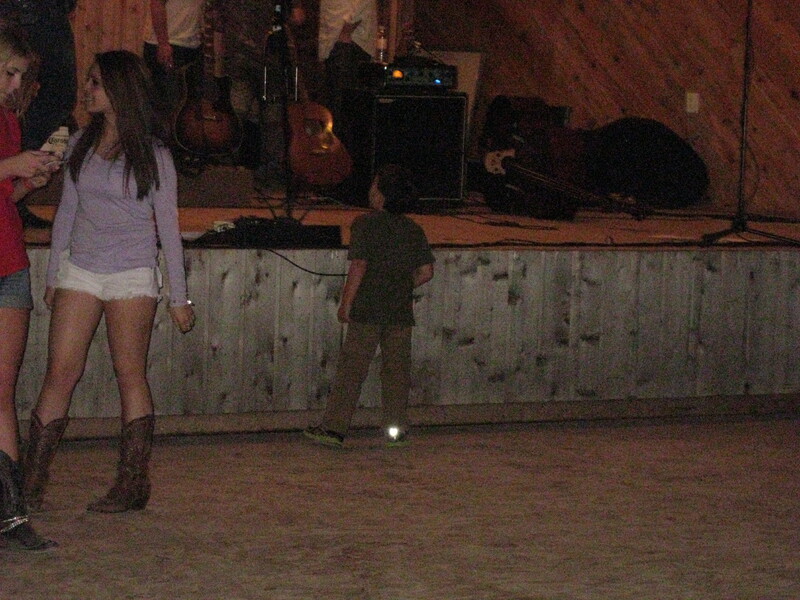 This guy hopped down from the stage and was talking to my little guy like he was the most interesting thing ever. I was sold at that point 🙂 It helps that we really enjoyed his music too! He was nice enough to pose for a picture and to give us a few suggestions while in the area. 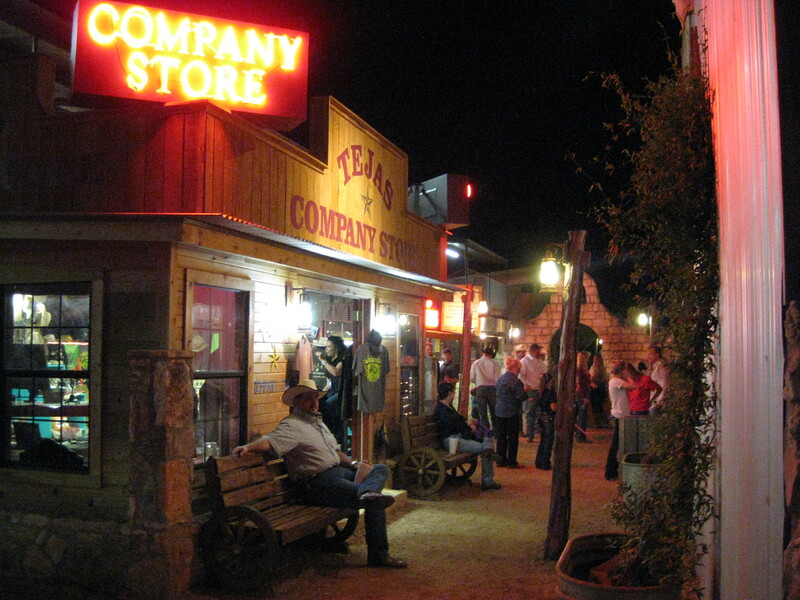 He pointed us in the direction of his wife’s store, Shop the Treehouse in Wimberly, TX. I’m sorry to say that we didn’t get a chance to get over there, but don’t worry Aaron, it’s on our list! 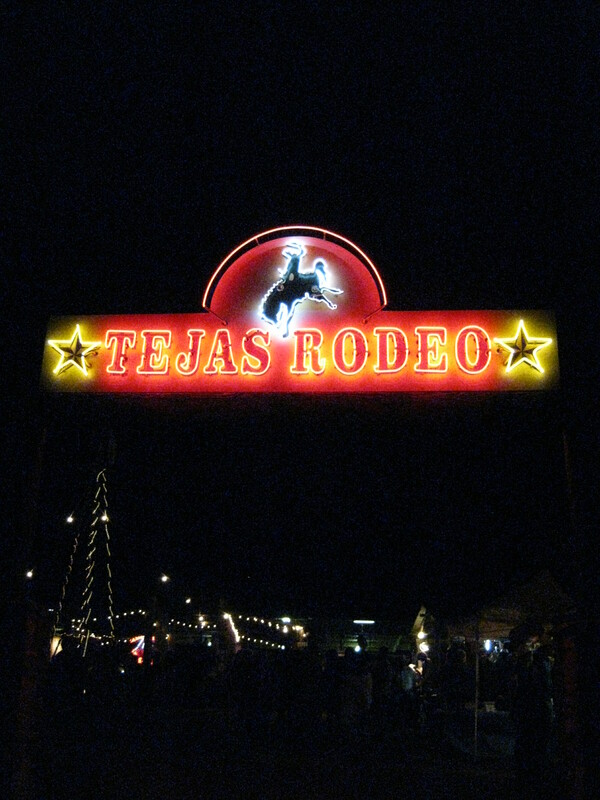 And thanks for your contribution to our first rodeo experience! We really had a fun time there at the rodeo. It was an entertaining experience that I’m glad we chose to do. It was full of good food, great music, and hold your breath moments. I don’t think we’ll ever look at one of these the same ever again…. Thanks for readin’ ya’ll. I’ll have more for ya pretty soon! Previous PostA Texas WeddingNext PostHeal a sunburn fast!